This special podcast is brought to you by EasyEquities and it’s a warm welcome to Mark Ingham, Independent Investment Analyst. Mark, we’re looking at the stock that actually accounts for 20% of the JSE’s index, Naspers Ltd. It’s quite an incredible story, isn’t it, where Naspers has come from. It’s interesting you say that proportion because Tencent in which it has a 33.5% investment, is also a very significant constituent of the Hang Seng Index and, in fact, at the last count I think that was approximately 10% of the Hang Seng Index. Naspers has come on quite a journey from a relatively boring publisher many years ago to certainly one of the media giants, not least on our stock market and it’s one I take an ongoing interest in. One must, given that many South African shareholders are invested there. We have, certainly in our SA Champions portfolio, we have Naspers and they’ve been a very good performer, but it’s been busy for Naspers in the last little while. Let’s start off with that first deal. You mentioned that Tencent is so big in Hong Kong. 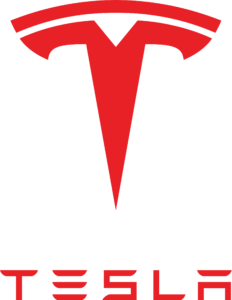 Well, Tencent is very big in Naspers as well and we’ll explain that relationship in a moment, but Tencent has also bought into Elon Musk, a Pretoria boy, originally anyway, into his company Tesla. What’s behind that? Yes, it’s an interesting one. We got first wind of that, Alec, on the 24th of last month, SEC filing, Tencent disclosed that they had purchased 8.2 million shares in Tesla. It has about 163 million shares in issue, so that gives Tencent a 5% stake and because of Naspers’ 33.5% interest in Tencent, therefore means that Naspers has an indirect interest of approximately 1.5% in Tesla. I guess, Alec, there is a certain rationale for that in the technology aspect and I think particularly insofar as China goes and it’s quite interesting because it aligns with the recent investment in NIO, which is a Chinese electric car company, so I guess they are looking at synergies potentially in the future as Tencent and Tesla evolves. I think Tesla has evolved from being what is recognised as an electric car company to very much more than that. It’s certainly very much a player in the energy field and Tencent too is an evolving company and it’s early days, but I think given the fact that there are future capital raisings for Tesla necessary, I think given Tencent now being one of the bigger shareholders in isolation, they would probably look to provide fresh capital to Elon Musk as he grows his enterprise. Let’s just step away from this for a minute because Tencent, which Naspers, as you said earlier, owns about a third of, is an online company, it’s an internet company, it makes its money by selling games and other engagements by people going online for ten cents, hence the Tencent name, yet Elon Musk’s company, Tesla is an electric car manufacturer. It’s very hard to see anything other than maybe ten years down the line where these two businesses would interact, but it has to make sense in some way. Is there anything specific there? If you were Pony Ma, the Chief Executive of Tencent, what’s going on in your head to put so much money on the table to take a stake on an electric car company, even though you might like the South Africans, given your relationship with Naspers? Given the fact that Tencent is a media, dare I say a social media company too, and a gaming business, we are looking at driverless cars in the future and I think interactivity is going to play an important component of that. Indeed, the Tesla motor car, which I’ve had the privilege of physically experiencing is quite a unique work of art, if you will, with some tremendous technology underpinning it and it’s as much a software product, is a Tesla motor car as it is a physical conveyance and I think as technology evolves and as the capabilities of people to be transported through software (in other words, software doing the driving for you), there is a certain synergy, I guess, between what Tencent are doing and the evolution of that business as they’ve grafted on different product offerings as time has gone by and indeed looking for new frontiers. My sense is, Alec, that possibly Tesla, given the creativity and the intellectual genius that goes behind it, really fits four square in what they’re trying to achieve in China. It’s no accident, in fact, that Tesla sales have been surging in China, albeit from a low base, but as things stand at the moment, China increasingly is going to be one of their largest markets. Given the fact that Tencent is a very prominent, top three player in its field in that market, I think increasingly both parties will explore overlaps and possibly even technology sharing as time goes by and the scope for Tencent product to possibly find its way into a Tesla motor vehicle, which at some point will be possibly self-driving. Did the price that they pay suggest that it was a one-off purchase, or is it an accumulation that Tencent will be doing in Tesla shares? My sense is that this is not necessarily a one-time event. 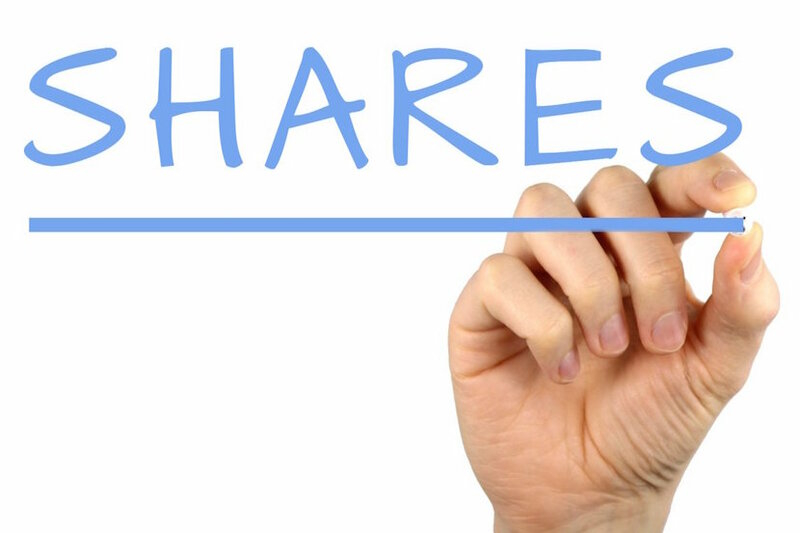 I think that this is not simply a passive investment and I think that the large commitment that they’ve made in buying such a substantial number of shares speaks to the fact that this is not going to be a passive portfolio investment, but possibly the start of a technological overlap insofar as both parties potentially cooperating for mutual benefit as time goes by. It certainly hasn’t hurt the Tesla share price which has done terribly well over the last little while. We were lucky enough to get into that on $200 a share on our global share portfolio and not long ago as well. It’s now at $300 a share, so it’s been a great performer and with Tencent underpinning almost by buying more and more shares into the future, well, if you haven’t got a bet on Elon Musk yet, maybe now is a good time. Well, that’s it. I think the guys are following in your great example there, Alec. I doubt it, but the other big story to come out of the Naspers stable is Souq.com. This is a Middle Eastern e-commerce company and Naspers has a very significant investment there, in a business that’s now been earmarked for purchase by Amazon. Yes, that’s right. Also at the end of March (these things come in two’s), we had an announcement that Amazon would be buying this e-commerce platform that’s very much Middle-Eastern focused, Souq.com. It’s still run by its co-founder, it was started in 2005 and the owners include Tiger Global Management and Naspers, which has a 36% shareholding and they first got that shareholding, Alec, back in 2012. There was a public offer by a Middle Eastern competitor to buy into Souq.com, but it seems that Amazon has pipped them to the post. I’ve had an indicative value on some of the past basis of about $1bn on Souq.com, so although there’s no actual disclosure on the quantum being paid, then it’s not out of the question that Naspers could realise the best part of $350m, $360m. How will that impact the market cap of Naspers, given that it’s worth R1tn, but even for a R1tn business, $360m is significant? I think in the scheme of things, Alec, it’s not going to be that many meaningful and we’ll go onto that subject shortly on the discount that prevails with the Naspers share price but many of these assets that are secondary to Tencent, are not being fully recognised in any event in the market valuation of Naspers. Bear in mind also that they did sell Allegro in Poland, which is also an online business recently and they got $3.25bn for that. It was a profitable business and so that business will, therefore, be converted to cash and I think the question on investor’s minds is okay, so you’re selling out of Souq.com, you’re sold out of Allegro, you’re pocketing quite a large amount of US Dollars, what are you going to do with that and that is the open question at the moment. What kind of debt levels does Naspers have? It’s not particularly large and so from a balance sheet point of view, the company is in a fairly good shape. Bear in mind that it’s more of an investment holding company in a number of ways and I think the investment in Tencent is a particularly good example of that. 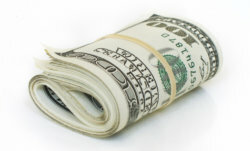 There is scope within the balance sheet at the moment for the business to gear up. The actual total gearing as at the last financials was approximately 13% and there was a mixture of the US Dollar debt within that South African debt as well, so your net debt position at the last balance sheet date was approximately $1.5bn. With the realisation of cash from Allegro, in particular, they will probably be in a net cash, would be at their financial year-end, which would be March, so I would expect them to report going forward, a net cash position. This means they’re building up cash for something. It could be pretty much anything though, given the way that Naspers is looking all over the world. The valuation of the company, though as you mentioned a little earlier, is based pretty much on its shareholding in Tencent. It’s going back a little there, Tencent was acquired almost two decades ago by Naspers when it was a tiny business. It was part of the throw mud on the wall and hope some of it sticks strategy that Antonie Roux, who was Koos Bekker’s right-hand man and of course, Bekker himself employed. They really hit it big in buying into Tencent which has been described as “The greatest private equity investment ever made”. Well, it certainly has been a huge performer, but from time to time people say, “Why doesn’t Naspers sell its Tencent shareholding?” That doesn’t seem like it’s a likely situation, but if it were to happen today, if Naspers were to sell all of the Tencent shares that it owns, would the current shareholders or the shareholders who own Naspers shares today be sitting in a more profitable position than the share prices reflecting? I think it’s difficult to see that. I’ve postulated an unbundling scenario. I don’t see it as being likely. The Tencent dividend for the year ending December 2016 will be approximately $700m, so Naspers will get something like R235m from that. It has a very high dividend cover, Alec, has Tencent, approximately 9.2 times on earnings, and so the dividend payout in relation to the cash flows is relatively small. MultiChoice is also a big contributor to cash flows and so between the EBITDA that MultiChoice generates and the dividend that they get out of Tencent, that’s approximately $600m a year. So those are two very considerable cash generators for the business and it’s no accident that that’s not too far distant from the development spend” as it’s called that Naspers is making and what we’ve seen over the last number of years is that there’s been a divergence between the performance of Naspers and Tencent. Tencent has been substantially outperformed Naspers. Although on paper, Naspers appears to have done pretty well, not least for South African investors in South African Rand, the performance of Tencent has been substantially higher. Therefore, there has been a growing discount. What used to be a premium to their holding in Tencent has slowly fallen at one point parity and subsequently to a discount, which means that the e-commerce and developmental assets are reflecting less than zero value, Alec. What does that mean when you say, “A discount”? Let’s just track where this company has been and if we look at, for instance, the ratio between the Naspers share price in Dollars if I convert everything to Dollars and we take the Tencent share price in Dollars too, the ratio between the two is narrowed by half, so for instance, in January 2012, five years ago, Tencent was 8% of the Naspers US Dollar price, where it is now 16% of the Naspers USD price. What we have seen is that the market capitalisation of Naspers in that five-year period has gone from 133% of its share of Tencent, in other words a 30% premium to the see-through value of the Tencent stake on a normalised basis. How will the market rate Naspers if it spins off Tencent investment? 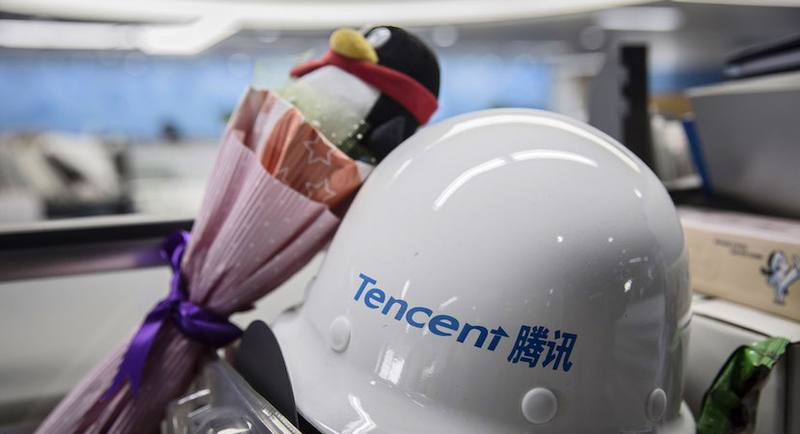 This has subsequently degraded to a discount relative to Tencent of approximately 20%, so if we currently look at where the pricing is, you would have Tencent insofar as the share in the Naspers share goes at approximately R3000. In fact, slightly more at the moment and as you’ll see from the JSE share price, the Naspers price in Rand is trading at a discount to what its theoretical share of Tencent is. Let’s just understand this, the Naspers share at the moment is about R2 5 000 and its investment in Tencent alone is worth R 3 000, so you’re being paid R500 discount on your Tencent shareholding plus everything else in Naspers you’re getting for free. That looks like a bargain to me. It sounds like a bargain, provided of course, those developmental assets can yield a return, and you assume that there is no destruction of value. If we take the current Tencent share price and we take the current rate of exchange in the market, yes you are looking at roughly R3000. The discount tends to fluctuate and it’s also a function of where the Tencent share price is on the Hang Seng and where currency is, but to all intents and purposes, you have a significant gap between the value of the stake in Tencent and the share price of Naspers and in analysis that I’ve done in that regard, it indicates that as the development spend has increased substantially since 2011 and in fact, if you run the numbers, Alec, Naspers between 2011 and 2017 on our current estimates, then it’s spent approximately $3.1bn on developmental spend. That’s on various things. As you would imagine, there’s a significant number of assets within the Naspers stable, some of which are contributing and others are detracting from earnings and cash flow, but that’s a considerable amount of money and I’m looking at the spend in the region of $450m next year and then tapering down, but between 2011 and 2021 I have Naspers spending the best part of $5bn. So, the question, I think in many investor’s minds is, okay, you’re spending this money, a lot of that money’s come out of your more mature assets which the media business and MultiChoice are included together with Tencent contributing a very handsome dividend, but we’re not seeing that coming through in the earnings profile. Therefore, I think if we go back a few years, there was a certain benefit of the doubt premium we could probably argue and I think as time has gone by and there hasn’t been any apparent evidence that these developmental assets have been contributing to cash flow and earnings, hence the discount between Tencent and the current Naspers share price. 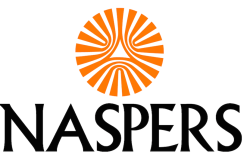 The R2 500 question, would you be buying Naspers shares today? I think that there is a cushion of safety. I did mention in an earlier note, Alec, that the material discount to Tencent provides a cushion for possible negative surprises, but also some headroom for future upside if e-commerce is a positive surprise. In other words, Alec, to use your very good phrase, “If that mud on the wall does start to stick” and we can see results then I think there is scope for, not only that gap to close, but for the e-commerce assets that they’re investing in to be valued independently on their own. In other words, we get a premium to the share of Naspers and that could give you considerable proverbial blue sky. We are in an industry here that is known for its blue sky, but ultimately, I guess dry analysts like myself have to count the sheckles and at this stage the sheckles appear to be notably absent. Mark Ingham, giving us the rundown on the biggest South African stock on the Johannesburg Stock Exchange, Naspers Ltd., he is an Independent Investment Analyst and this special podcast is brought to you by Easy Equities.